Since 1991, the Drawing and Study course has been a cornerstone of the ICAA’s annual education program. The program follows in the footsteps of architects journeying abroad, and at home, to study and document precedents for the purpose of informing the design of new buildings and places. Each iteration of the program explores the continuity and vitality of the classical tradition in a paradigmatic city or region that has been instrumental to its development. An expanding rotation of destinations offers a multitude of opportunities to build a profound and comprehensive understanding of the roots of American architecture at all scales of design - from the city and its contiguous landscape as a comprehensive work of civic art, to the composition of the architecture and interiors of individual buildings, to the fine grain of detail, materiality, building craft and artisanship. The study of precedents and adaptations to modern circumstances is paramount to the understanding of the classical vocabulary as a living language of architecture and city building. The course aims to enhance the practitioner’s knowledge and skills in creative and informed applications of the classical tradition. 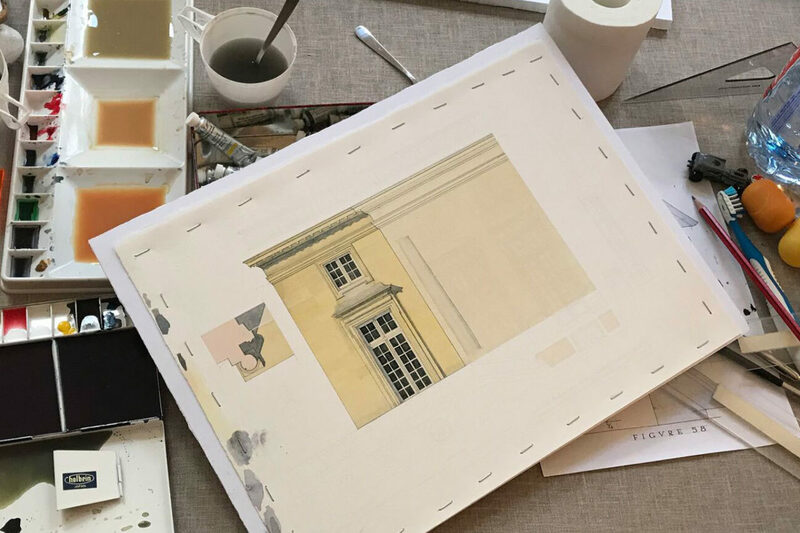 The course is structured around the tradition of observational, analytical and measured drawing in a sketchbook, methods that have been utilized by architects since the Renaissance. Then, as now, the goal is to expand one’s compendium of examples as a resource for reference in future design endeavors. 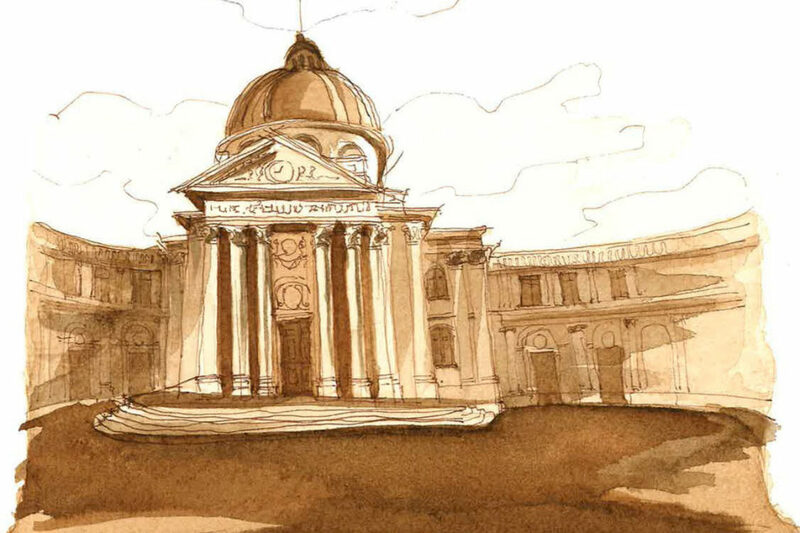 Each program includes an introduction to field drawing techniques that are then deployed throughout the course to study exemplars of classical and traditional design. A typical session begins with an introduction to the subjects of study, extended drawing time, and concludes with shared discoveries and observations. Complementing the core program is additional activity unique to the opportunities available in each location including visits to see newly built work, artisan workshops, and important collections and talks and demonstrations by guest lecturers. The 4-day drawing program is a study of American architecture and urbanism through measured and analytical drawing in Williamsburg, designed as part of an expansion to the ICAA Drawings tours of Rome and Paris. The overall goal of the program is for architects and designers to study in detail, through a variety of drawing techniques, the unique and architecturally rich environs of Williamsburg, Virginia, which serves as a laboratory of American 18th-20th century classical and traditional architecture. The course will begin with an analysis of the urbanism of Williamsburg, along with significant public buildings such as the Capital, Palace, Courthouse, and Market Hall. Significant James River Plantation houses will be studied as well as Williamsburg town houses, out buildings and gardens. Traditional and classical buildings recently built by Colonial Williamsburg Foundation and architects such as Quinlan Terry will also be explored. Guest lecturers will discuss the history of Williamsburg architecture including original colonial buildings and reconstructions starting in the 1920’s and continuing today. The ICAA would like to thank Charlotte Moss and Harrison Design for generously supporting the 2019 Christopher H. Browne Colonial Williamsburg Drawing Tour. 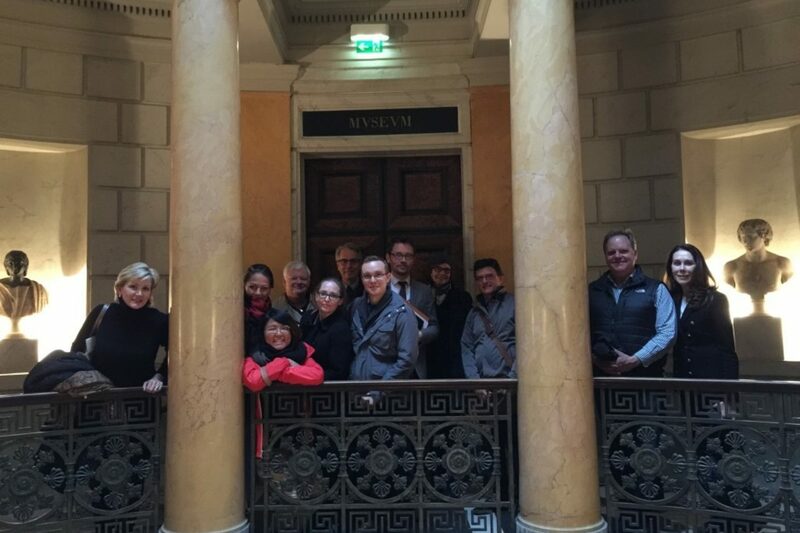 The 8-day drawing and painting program in Paris is based on the successful ICAA annual Rome program and the 2016/17/18 Paris Tours. Its purpose is to expand the knowledge of American architects, designers and practitioners in French traditional and neoclassical architecture, interiors and landscape and in the artisanal building traditions still practiced in France today through centuries-old guilds for the art and craft of building and their relevance and impact influence on American architecture. 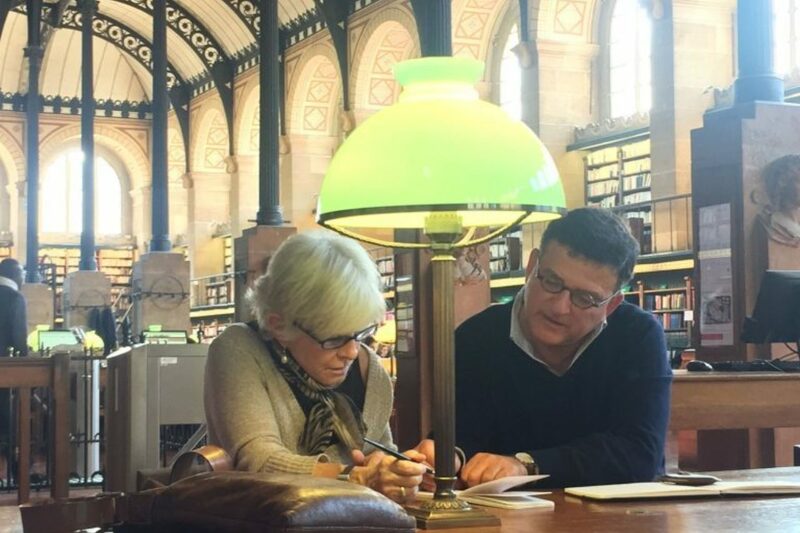 The course is centered on exploring both the 18th through the early 20th Century Architecture of Paris and its environs and their direct influences on American architecture. The City of Paris offers a rich environment where 19th Century discourse debated the merits of Classical and Gothic styles of Architecture. Both sources have been significant historical sources of inspiration for American architects and designers, dating back to Thomas Jefferson’s diplomatic residency in France in the late 18th Century through the 19th and 20th centuries when American architects attended L’école des Beaux-Arts. Starting with the Place des Vosges under Henri IV, the course traces the development of French architecture through Gabriel’s works at Versailles through the 19th Century works of Beaux-Arts architect, Henri Labrouste and Neo-Gothic architect, Eugene Viollet-Le-Duc and early 20th century works. 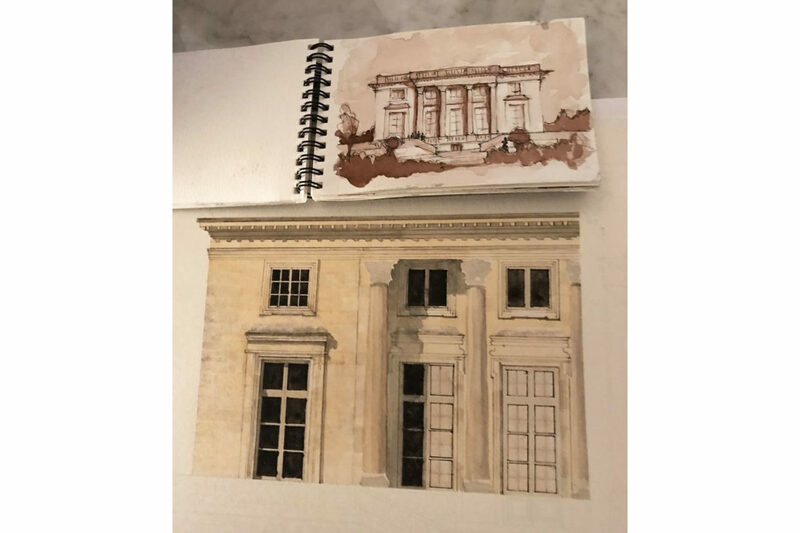 A 2018 Suzanne Kasler ICAA Southeast Scholarship for the Christopher H. Browne Paris Drawing Tour is available thanks to the generosity of the Institute of Classical Architecture & Art, Southeast Chapter Board Member Suzanne Kasler, President, Suzanne Kasler Interiors. Learn more here. The ICAA has been given a scholarship from John LaPolla and LaPolla Designs for the Christopher H. Browne Paris Drawing Tour. This scholarship is offered in honor of John's late mother Dorothy LaPolla-Czarnecki for her unwavering encouragement and promotion of education. John, his family, and company continue this legacy of support and mentorship of aspiring students and craft persons in education and the arts. For further information, please contact [email protected]. To find out more about the Christopher H. Browne Drawing Tours, email [email protected] or call 212-730-9646 ext. 112.